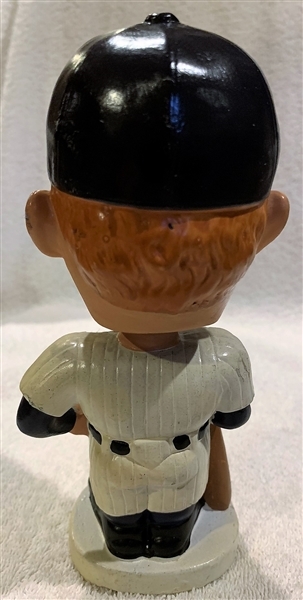 This Mantle bobbing head is the harder to find Round base version. It has very nice coloring with no chips or cracks. There is some wear on one shoulder. The base decal does have some wear, but overall it's in excellent plus condition.